In the Library with the Lead Pipe is pleased to welcome guest authors Iris Jastram, Danya Leebaw, and Heather Tompkins. They are reference and instruction librarians at Carleton College, a small liberal arts college in Minnesota. Just two summers earlier we had pored over some sample papers pulled from Carleton College’s Sophomore Writing Portfolio submissions, debating whether we could see information literacy at work in those papers and if so, exactly what we could see. We couldn’t see the processes by which the students arrived at their final work or the assignments that prompted and guided them. All we had were the completed papers and a nagging sense of unease about what we could meaningfully say about information literacy in student writing based solely on samples of student writing. As the hours ticked by, though, realization began to dawn. We had always said that information literacy was more than a discrete set of research skills, but when it came right down to it we had nearly always taught a set of research skills (cf Jacobs 2008, Simmons 2005, or Swanson 2004). We worked with students to help them develop researchable questions, formulate search strategies, evaluate what they find, and cite sources. We collaborated with faculty to help them design assignments that would lead students through these complex and iterative steps. These practices were good and valuable, but we now recognized them as only the beginning. Reading the finished papers themselves, we realized not only that research skills were hard to observe with any consistency, but also that we could trace the far richer information literacy habits of mind. 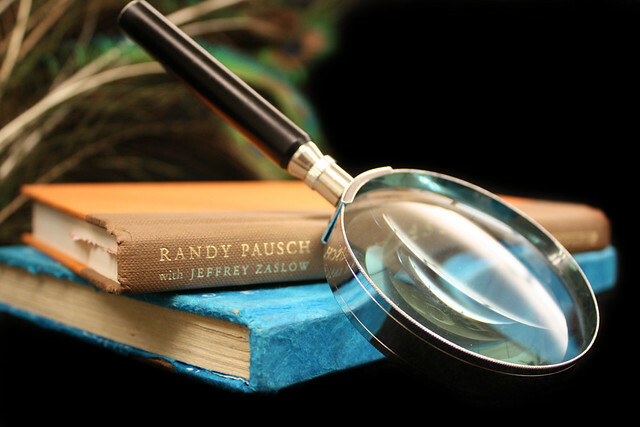 We could be forensic librarians reconstructing our students’ understanding of the ways sources function in academic work based on the often subtle patterns left woven through the finished writing. These patterns coalesced around three dimensions, Attribution, Evaluation, and Communication, that we codified into a rubric and used to help us investigate our students’ habits of mind. We were surprised to find that we couldn’t really assess how well students followed citation style guidelines (one of the things we originally thought would be especially easy to see) because there are just too many citation styles and because many professors tell their students that “it doesn’t really matter as long as you’re consistent.” However, we found that we could see how well students guided their readers through the distinctions between their own thoughts and the thoughts of others and how well they helped their readers understand the nature of their sources. It became clear that teaching attribution as a habit of mind rather than citation as a rote skill would not only improve our students’ writing, but would also help them understand how sources function in academic writing in the first place. So now when we teach, we help students understand citation as context. We emphasize that students can build contexts for themselves by paying attention to the contexts other scholars have built for them in the literature. Then we talk about how it is the students’ job to build similar contexts for their readers, and that this can help them decide what sources and citations belong in their papers. They can decide whether something counts as “common knowledge” by putting themselves in their readers’ shoes and wondering whether their readers would like to have the option of knowing more about that topic, and if so, leave them a citation to use as a starting place. Thinking of their own classmates as their “community of inquiry” we have them develop citation styles that would be instant context-building tools for their community, privileging information that matters to their classmates and leaving out extraneous identifiers. Then we explain how the citation style for their discipline performs that same function. This shift toward concentrating on the uses and functions of attribution breathes life into an otherwise stultifying topic, but more importantly it places students in the role of helpful knowledge creators rather than information compilers and potential plagiarists. When we turned to the question of how students evaluate sources, the pattern emerged again. It turned out that we could tell very little about whether students had managed to uncover core resources or spread their wings beyond JSTOR. Instead, what we could see was whether or not students made compelling cases for their sources being the right sources for their papers. What’s more, once we knew what we were seeing, we could trace these same intellectual habits through papers that only included primary sources since selecting those sources is also an intellectual choice that involves matching evidence and claim. This insight helped us shift our instruction yet again. Suddenly we realized that we could work with professors who often prefer not to include a research paper but still want to include an information literacy component in their courses, and with this realization, whole expanses of the curriculum opened up to us in ways that had seemed impossible just months earlier. We could work more closely with our language and literature departments, which place great emphasis on reading and writing about literature and far less emphasis on research. In these “non-research” classes students can analyze secondary literature that makes claims using similar types of sources to see what aspects of those sources are important to skilled scholars. We teach students to explore sources that will help them understand their primary sources well enough to see what might constitute an interesting question to ask of the source. Even with more traditional research-based assignments, we shifted our teaching after realizing that students had been understanding the research process as one of gathering “everything” related to their topics and reporting on what they had gathered. Now we discuss bibliographies as representations of intellectual choice designed to present the most convincing claims possible, guiding the reader toward agreement with the claim by presenting the most convincing evidence possible. Bibliographies are rhetorical tools, too, not simply lists. While all of the dimensions we identified have to do with communication, this dimension is distinct in that it focuses on how well students use the evidence that they’ve found instrumentally in the service of their own goals rather than ceding the main thrust of the paper to outside voices. In strong papers, students marshaled their evidence while maintaining their own voice and their own sense of purpose. In weaker papers, on the other hand, patch writing1 and excessive citation signaled fundamental confusion about the sources themselves and the purposes for drawing on the works of others in the first place. Oddly, one of our most transformative findings felt the most obvious: students have to actually read and understand their source material, really integrate it into their thinking, before they can synthesize those sources into their own arguments effectively. Of course, we aren’t content specialists. Yet, this insight helps us continuously improve how we teach familiar topics, like literature reviews. We recognized that students don’t actually know what a “literature review” means and what it is, really, that they are being asked to do in their papers. Backing up and deconstructing these as much as possible, we connect the notion of literature reviews with creativity, intellectual choice, and disciplinary conventions by showing an in-class video about originality, teaching students mindmapping, or having a class create research journals using Google Docs. Students also get a laugh out of demonstrations of bad literature reviews as conversations in which one person simply mimics or paraphrases another person. Acknowledging and summarizing previous points in a conversation is important but simply listing those points is socially and academically weak. Reading papers and working with faculty and students in these new ways have opened up opportunities for more integrated and enlivened collaborations both with departments having deeply entrenched information literacy curricula and with departments that have not typically seen information literacy as highly relevant for their students. Emphasizing a “habits of mind” approach rather than a skill set approach, we are remapping our practice in ways that resonate more strongly with faculty and students across disciplines and courses on our campus. Information literacy is truly a “critical literacy” now, encompassing “the ability to read, interpret, and produce information valued in academia” (Elmborg 2006). So yes, this is information literacy. And yes, information literacy is so cool. Many thanks to our colleagues in the Carleton College Gould Library Reference & Instruction Department who together created this rubric, the design of the Information Literacy in Student Writing study, and with whom we shaped the thoughts and practices discussed here. Thanks also to Lead Pipers Ellie Collier and Eric Frierson and to Steve Lawson for helpful comments and edits. Elmborg, James. 2006. “Critical Information Literacy: Implications for Instructional Practice.” Journal of Academic Librarianship 32 (2): 192-199. Howard, Rebecca Moore. 1999. Standing in the Shadow of Giants: Plagiarists, Authors, Collaborators. Stamford, CT: Ablex Publishers. ——, Tricia Serviss, and Tanya K. Rodrigue. 2010. “Writing from sources, writing from sentences.” Writing & Pedagogy 2 (2): 177-192. Jacobs, H. L. M. 2008. “Information Literacy and Reflective Pedagogical Praxis.” The Journal of Academic Librarianship 34 (3) (May): 256-262. Simmons, Michelle Holschuh. 2005. “Librarians as Disciplinary Discourse Mediators: Using Genre Theory to Move Toward Critical Information Literacy.” portal: Libraries and the Academy 5 (3): 297-311. Swanson, Troy A. 2004. “A Radical Step: Implementing A Critical Information Literacy Model.” portal: Libraries and the Academy 4 (2): 259-273. I grade a great deal of undergraduate papers and this is exactly the kind of knowledge that they need. I’m wondering if you could possibly share any lesson plans, as what you describe sounds great and I’d like to see how it’s put into practice. Yes, we could share some lesson plans. What discipline(s) are you most interested in? We could match you up with some lesson plans that are most closely tied to what you do. I’m a FYComp instructor for multilinguals (and coincidentally a Carleton grad), and I too would be grateful to see how you put these principles into practice. I generally encourage students to work on papers with me that they are writing in other classes, though my own classes tend to involve critical interculturality. We’ll see what we can pull together. One thing about our instruction program is that we create highly tailored sessions, so there isn’t really a standard lesson plan for any of these given module. It changes from term to term and course to course and professor to professor. (Also, I write up sketches of lesson plans, the barest outlines, since I never really thought I’d be sharing them with anyone.) But others in our department may have more shareable examples that are more readily available. For myself, I’m thinking I may pick out a couple of examples, write them up on my blog, and then link them here in the comments within the next couple of days. Ok, I’ve written up two sketches of lessons, one dealing with a more inter-cultural class like the one you describe and one being an example of a session I’ve done for a non-research assignment. I’ve also linked to some of the other places I’ve written about these kinds of “in my classroom” topics for lower-level students. I hope this helps flesh out the concepts in a little more concrete detail for you! thanks for your post and sharing all of these resources. I’d love to hear more about your collective thoughts about how others can start integrating forensics into their communities. Also, tell us more about mindmapping! What do you do? I’m intrigued. Thanks to everyone for such thoughtful comments. I’ve used mindmaps to teach students in a senior seminar how to develop a researchable question, or to visualize the scholarly conversation, or in one-on-one consultations with senior students to brainstorm bodies of literature for their capstone projects. My colleague Kristin Partlo created this mindmap for senior students that demonstrates to students in both form and content how mindmapping helps them to organize their research. One point we emphasize with students is that early stages of research can (and should be) messy, there are a lot of conversations they are tracking, it’s important to find ways to organize their thinking in order to be creative and figure out their own argument, and there are a lot of tools to help them do that. Pen and paper or a whiteboard are great too. It’s less important how they map their thoughts than that they find a way that works for them. Mindmapping demonstrates to students, conceptually, how ideas connect in unexpected ways and students also learn a hands-on strategy for tackling big research projects. I was wondering if you could tell us what you use as “demonstrations of bad literature reviews?” Do you use previous student examples, or ones that have been published? if published, could you point us towards a few? Thanks so much for your interest and support of our project. Project RAILS is doing such great work, and we’d be pleased to submit our rubric! We’ll be exploring in a more in-depth way the connections between our project, the library literature and information literacy rubrics in some of our upcoming work. Great question! Faculty sometimes have examples of literature reviews from past students that they have permission to use. Danya shares a with her class that is based on the ideas from many librarians, including the Asian Institute of Technology, which has some good examples common “traps” to avoid and also a problematic literature review. Another idea is to show articles that do not have any sort of literature review because to do so would fall outside the scope of the goal of that particular piece. This isn’t problematic as much as just emphasizing these works as points of comparison for articles that have literature reviews. I’m thinking about book reviews that review only one book, any work that has a close analysis of an object only, or even opinion pieces. I’ll admit to finding some good examples out there by doing some open web searching for guides to literature reviews and adding phrases like “examples” or “problematic characteristics” or “common errors.” There are likely more sophisticated ways of searching, but this is what I’ve found works fairly well. Great question! Faculty sometimes have examples of literature reviews from past students that they have permission to use. Danya shares a checklist with her class that is based on the ideas from many librarians, including the Asian Institute of Technology, which has some good examples common “traps” to avoid and also a problematic literature review.